Boost Before Workout: Do Pre-Workout Supplements Really Affect Your Performance? Pre-workout supplements are a hot topic amongst fitness circles. Many of its believers swear by their energizing effects. So, you’ve probably heard a couple of friends or health buffs talk about taking special supplements before hitting the gym. You might even be considering them yourself to improve your performance. It wouldn’t even be difficult to do so. 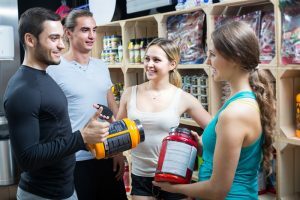 Pre-workout supplements are easy to get a hold of as most companies that sell protein powders offer these products, too. With all this talk over the “workout miracle,” it makes one wonder: Will pre-workout supplements really make a big difference in my fitness efforts? Pre-Workout Supplements: How Do They Work? These fitness supplements are any supplements (usually a powder drink mix) that claim to boost your workout performance if you consume it beforehand. These products are supposed to give you a burst of energy, increase your blood flow, and reduce your fatigue. People who wish to experience the full effect of the pre-workout supplement must take them around 30 to 40 minutes before training or exercising. The effect will “kick in” after 30 minutes to an hour. Once you feel that burst of energy, you’re ready for another session at the gym. Manufacturers of pre-workout supplements attribute the effect to its ingredients. Most of these products, however, contain a mystery blend of ingredients, which range from creatine to caffeine to guarana. While some of these ingredients are safe and energy-boosting, others can be filler ingredients or even be harmful. When you check out the supplement facts label of any pre-workout product, you’ll see the term “proprietary blends” on the list. These types of blends often come with enticing titles like “mass power blend,” “fat ignition blend,” and “focus ignition.” While all of these sound good for your workout regimen, it’s not always the case. Some companies don’t list down the ingredients they put in the blend. Others, meanwhile, fail to reveal how much of a certain ingredient is in your supplement. For example, they can say their blend includes caffeine, creatine, and beta-alanine but there might be only trace amounts of these ingredients in it. If you see a pre-workout supplement that includes some form of a proprietary blend, ask your doctor about the product before using it. The most common ingredient in pre-workout supplements is caffeine — the main source of the supplement’s energy boosting effect. Numerous athletes and fitness enthusiasts depend on caffeine to delay fatigue, improve their endurance, and lower the rate of perceived exhaustion. Several studies strengthen their caffeine dependence by suggesting that this natural stimulant enhances aerobic performance and the state of your mood. For people who wish to make the most out of their workout, these benefits are irresistible. There’s nothing wrong with taking caffeine before a workout. Taking too much of it, however, is another story. Studies that support the consumption of caffeine before a workout recommend 3 milligrams of caffeine per kilogram of body weight. For example, a person weighing 150 pounds will only need 210 to 400 milligrams. If they take pre-workout supplements that contain more than the recommended amount of caffeine, they might experience fatigue, muscle breakdown, and other harmful side-effects. 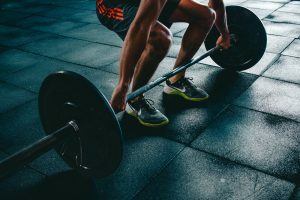 Individuals who wish to engage in resistance training need more beta-alanine, a non-essential amino acid that increases strength and energy utilization. According to one study, around 5g of beta-alanine per day is enough to improve muscle endurance. Beta-alanine is also not timing-dependent, which means you don’t have to consume it pre-workout. You can still get the benefits of this amino acid regardless of when you take it. Most pre-workout supplements contain creatine, a compound that improves performance during high-intensity workouts. Creatine supplements help you produce more adenosine tri-phosphate (ATP), which is the body’s energy source. Increased ATP levels enable you to increase your workout intensity. Creatine also serves as your fuel source to give you more energy for your training. Similar to beta-alanine, it doesn’t matter when you take creatine. You’re free to take it pre-workout or post-workout. You’ll get the benefits regardless. These popular supplement ingredients stimulate protein synthesis to help your body make new muscle protein. Increased BCAA levels complement increased protein synthesis by reducing protein breakdown for stronger muscles. While BCAA supports your muscle building efforts, natural protein sources (e.g., chicken breast, eggs, and almonds) are enough to provide your daily protein recommendations for your workout. If you’re a recreational exerciser, you might not need pre-workout supplements. Natural caffeine sources (e.g., coffee and matcha), beet juice, and whole-food protein sources offer the same strength and endurance benefits minus the additional costs. If high-intensity workouts are part of your daily routine or you have fitness goals in mind, do your research. Learn more about potential pre-workout supplements by reading the label and studying their pros and cons. Don’t just read the products’ website for information; look into the ingredients to make sure it’s safe and effective. When in doubt, ask a dietitian or doctor about a potential supplement. It’s always better to be safe than sorry.